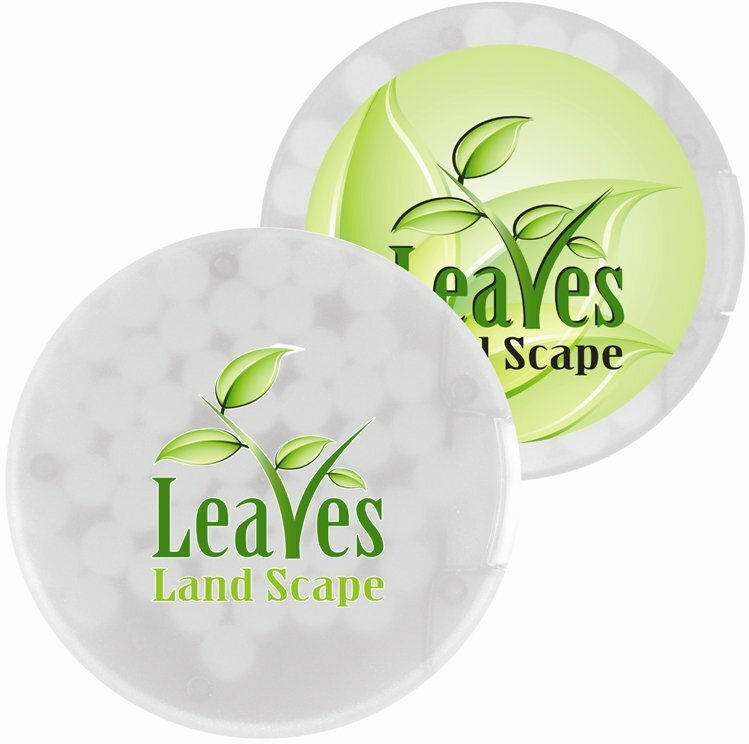 Get happy with your logo custom 4CP Printed on Round Mint Packs. Applications include advertising, marketing, giveaways, promotion. Features include plastic round pack with flip dispenser & mints. Sugar Free Peppermint Flavor Mints to tastefully satisfy. Overall mint pack size is 2 5/8 diameter x 1/4 thick. Delivery from date of an order 2-3 weeks. Contents are Made in the USA. Price includes almost unlimited print colors in area 2 3/8" diameter.